Vidit catches Nils Grandelius after an unfortunate endgame blunder in the final round by Linus Johansson! Congratulations to our tournament winners Vidit Gujrathi and Nils Grandelius! 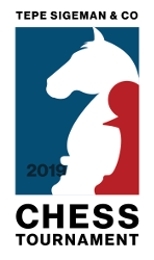 The next TePe Sigeman & Co Chess Tournament will be played 3-9 May 2019. 8 players will play 7 rounds at Malmo Live (which replaces the Hipp theatre, which has been the tournament venue during 1998-2018).